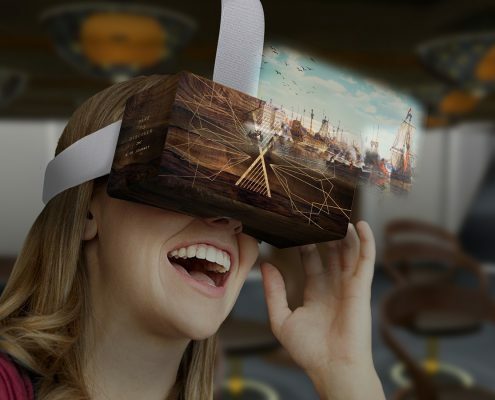 NorthernLight has been responsible for the concept, design and creative direction of the interior, identity and Virtual Reality experience of the spectacular VR time trip ‘Dare to Discover’, which will open at the National Maritime Museum in Amsterdam this December. 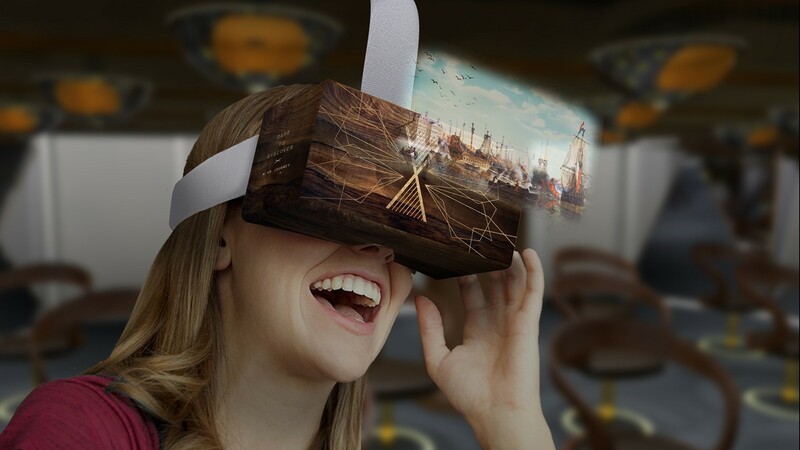 The VR can be seen on board of the VOC ship ‘Amsterdam’ and takes you back to the Golden Age. 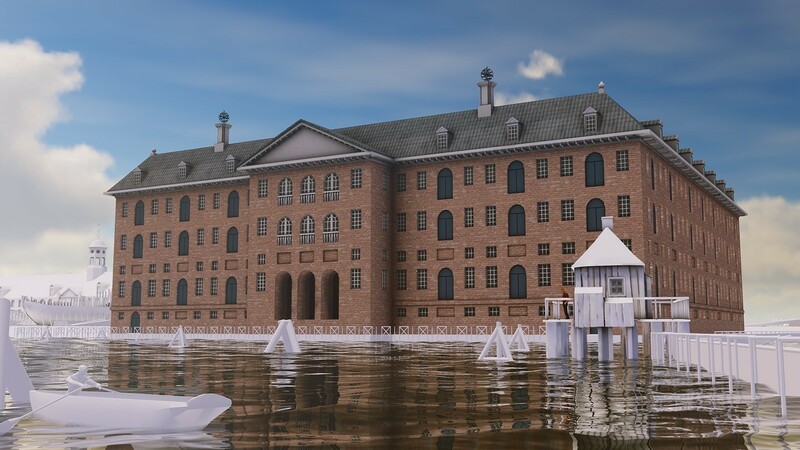 With the VR, visitors make a flight over Amsterdam’s historic port and experience how this area develops at a fast pace into a busy place. 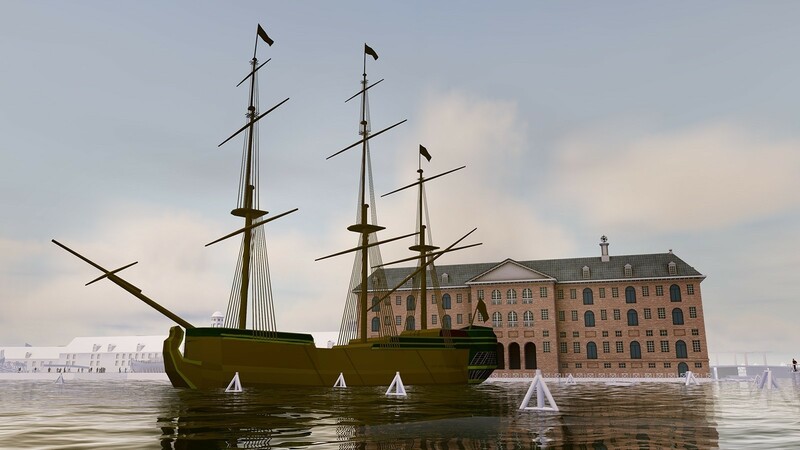 They witness a number of events, such as the creation of the impressive yard and the naval storehouse (‘s Lands Zeemagazijn – the current museum) and the construction and launch of a warship. 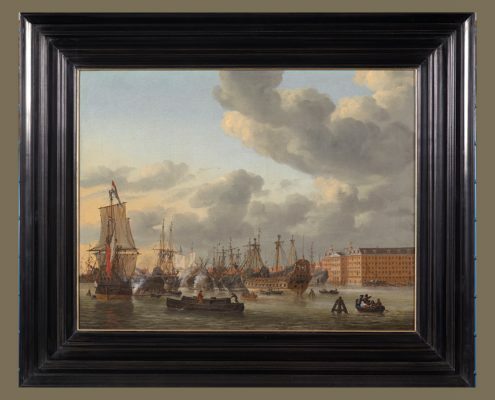 Starting point for ‘Dare to Discover’ is the masterpiece ‘View of the River IJ with ‘s Lands Zeemagazijn’ by Reinier Nooms in 1664. 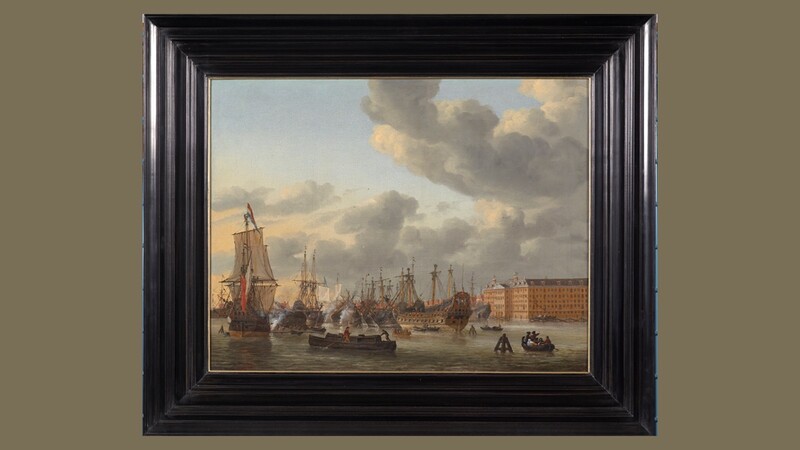 This painting shows a number of warships in front of the current building of the National Maritime Museum. The watchful observer recognizes in the VR journey Reinier Nooms, who belongs to the important maritime painters of the 17th century. He had the nickname Zeeman thanks to the many voyages he made. 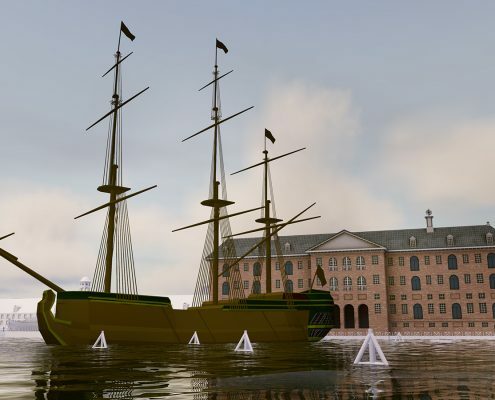 During the VR journey, the visitor is in the middle of the port of 17th century Amsterdam. Closely and from a distance, he is watching several events and activities of sailing ships, rowing boats and ships that are under construction. 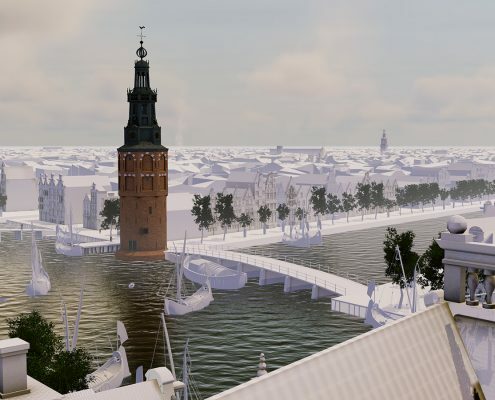 At the start of the VR the Amsterdam skyline is still open. During the VR new land is created. 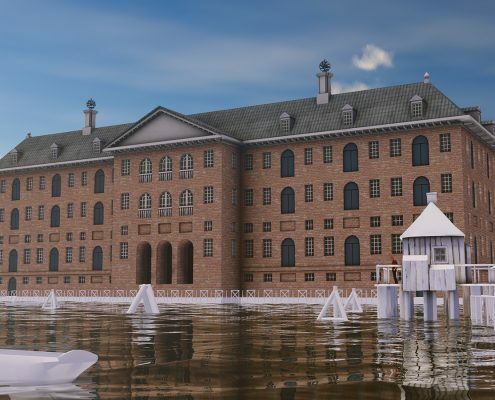 Here the yard and ‘s Lands Zeemagazijn are being built. 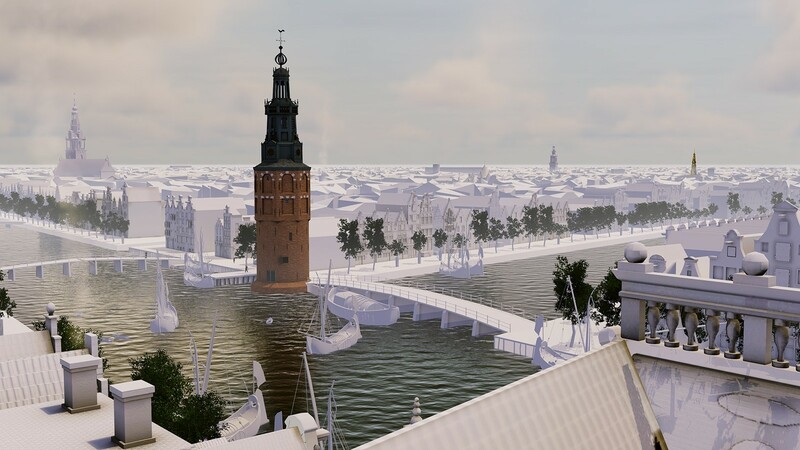 The Montelbaan tower is also visible, with traders of different nationalities and the supply and discharge of goods and services. This is also where sailors and soldiers say goodbye to their family and embark on the VOC. 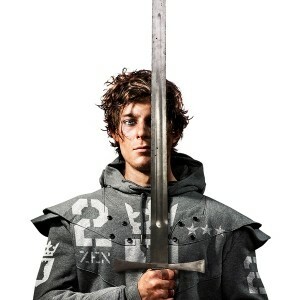 And don’t we see Michiel de Ruyter walking there with his wife? The content of the VR experience was created by ShoSho.